Formerly known as, Sailing Academy of Florida, we've been on the water for the better part of 20 years teaching, fixing, learning, and traveling. If you're ready to start a new chapter or looking to improve your skills, we've got a full-service sailing platform that includes a top-rated ASA school plus a crew of knowledgeable charter captains, mechanics, and brokers that can help you through every step of your sailing journey from ASA101 to your 2-year cruise. Captain Edana will sail you to those special places and show you how it’s done. Awarded as outstanding instructor two years in a row and with 75k sea miles under her belt, you can learn from no better. She's an avid traveler, hiker, and runner. If you're looking for adventure, she's your gal. You are guaranteed to have fun on Valerie’s watch. With 20 years of cruising and chartering experience she knows the waters of Europe, the eastern seaboard, and the Carribbean. 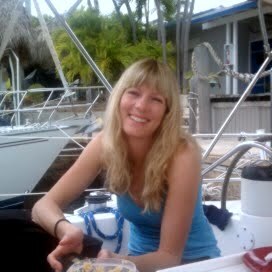 A wonderful chef, an excellent broker, and very seaworthy, you'll learn loads from her. Talk to her about your next vacation! Jonathan can fix anything from a megayacht to a pleasure cruiser. Hailing from Pretoria, South Africa, he's a marine industry specialist focusing on all the mechanical systems of a modern yacht. He loves fly fishing, soccer, and trail running. He's at your call when something isn't going as per plan. This trip was among the most memorable, fun, exciting trips of a lifetime. Edana as a teacher is fantastic, patient, informative and fun! You are a great, great cook and host as well. Most of all the learning experience was exactly what I wanted and needed. Thank you, Thank you, Thank you..
Let's go! Get in touch with us now and let's talk about where you want to go. Epic Sailing started as a partnership of sailing veterans who wanted to get back to the adventures of learning. We all remember the first time we went sailing, the first boat we bought, the first time we ran aground! Sailing is a wonderful lifelong adventure filled with challenge and achievement. We're here to help you along the way. Whether you're just starting out, or you want to learn ship systems and blue water cruising we've got you covered. Prepare for your seatime by using the award winning NauticEd system. We've got more than 15 years guiding charters from Greece to the Bahamas and anywhere in between. Ready for the ultimate vacation? Pick a destination and let's go! If you're ready to jump into boat ownership, or looking to take the next step onto a bigger boat, we're here to help. We believe brokerage and support go hand-in-hand. We're available to help you in the selection process to find the right fit for your needs. Then, we'll help you get the boat to it's final destination and do any refits necessary to make it "your boat." Other things we can help with are relocations, deliveries, marina selection, and we're only a phone call away if something goes wrong. Ready to put your skills to the test? Come with us on a repositioning trip. You'll get the real experience learning how to troubleshoot ship systems, navigate into unknown harbors, sail through tough weather conditions, and meet other captains and cruisers along the way.